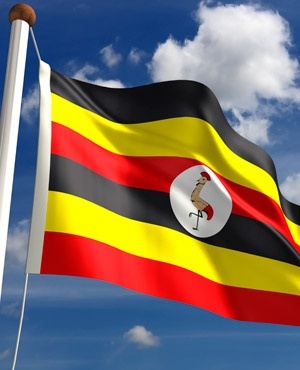 Kampala - Ugandans are in a social media blackout after the country's communication regulator on Wednesday instructed service providers to shut down social media ahead of President Yoweri Museveni's swearing-in ceremony, The Star reported. Museveni was set to be inaugurated on Thursday, following controversial elections on February 18. In several text messages sent to customers, service providers said they had been directed to disable all social media support until Thursday evening for security purposes. This was not the first time social media had been shutdown in the country. Ugandans would remember waking up on the morning of the election and noticing that the country's social media had been turned off. According to CNN, Museveni, at the time, defended the ban as a "security measure to avert lies... intended to incite violence and illegal declaration of election results". According to Africa News, security had been tightened in the capital Kampala ahead of the inauguration ceremony. This would be his sixth swearing-in ceremony for Museveni as president. Fourteen heads of state were expected to attend the swearing in ceremony. Minister for the Presidency Frank Tumwebaze said the presidents expected included those from; Zimbabwe, South Africa, Kingdom of Lesotho, South Sudan, Tanzania, Mali, Togo, Chad, Equatorial Guinea, Ethiopia, Swaziland, China, Nigeria and the Russian Federation.